Our 15 gallon plastic tight head drum is translucent. It is made with FDA compliant high density polyethylene and has liquid level markings at the 3, 6, 9 and 12 gallon levels. 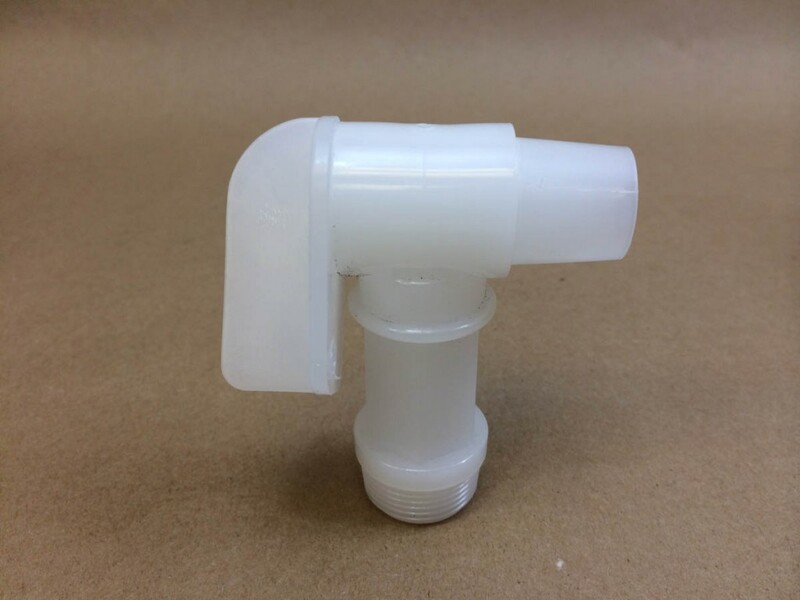 It has one 2″ NPT fitting with a 3/4″ center reducer and one 3/4″ NPT fitting. The 3/4″ center reducer in the 2″ fitting can be knocked out and, if needed, a 3/4″ Rieke FloRite faucet can be threaded into the fitting. This drum has a single heavy duty recessing handle that folds down allowing the interlocking head design to work. This stackable interlocking top head design allows for superior storage which may be important where limited space is an issue. 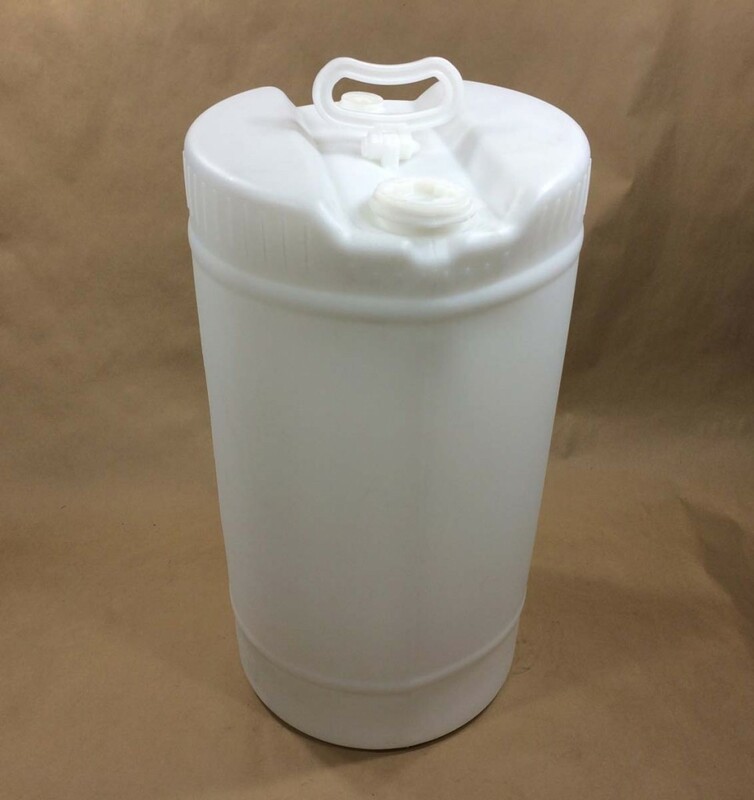 Our 15 gallon drum is UN rated UN1H1/Y1.8/100 for hazardous liquids in the Packing Group II and III categories. The top of the drum has gripping ribs for ease of handling. Although the drum is UN rated it is suitable for non-hazardous products also. As always, compatibility of the product with the container is the responsibility of the shipper.